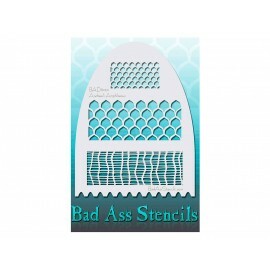 Ideal for cleaning bottles, tubes, and brushes after each use. 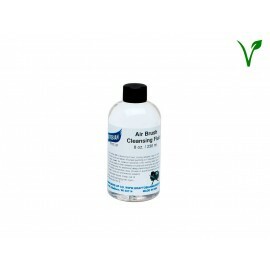 Only this SDA 40 alcohol cleaner should be used when cleaning up our alcohol based F/X Aire™. 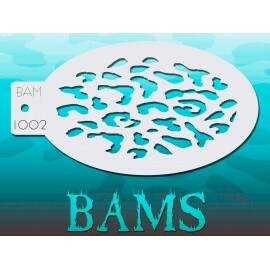 Great for cleaning GlamAire coated equipment as well. This HD water-based airbrush beauty makeup is the ideal product to create a flawless finish on all skin types. The clean and gentle formula, and its inherent touch-free application process will not irritate the skin. 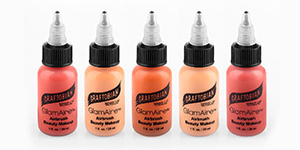 Graftobian F/X Aire™ airbrush makeup is available in 64 colors. This product is durableand long-lasting, water resistant and vibrant, yet can be washed off with ordinary bar soap and water. 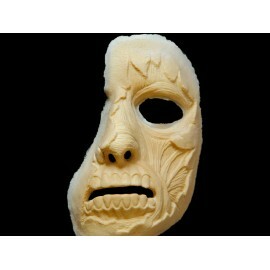 It is ideal for creating ultradurable fantasy makeups as well as extreme high fashion, high definition looks. To introduce our HD products and illustrate the cross platform compatibility of our GlamAire with our HD Crèmes, we have put together 3 sampler sets. 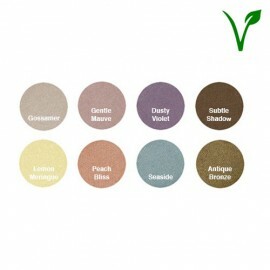 Each set is a small representation of shades from our warm, cool, or neutral color ranges. Sampler sets include one HD Crème Palette. Weight: 1,8 oz. Intricately designed by award-winning makeup artist and body painter, Andrea O'Donnell, each of these eyebrow stencils are for use with airbrush and makeup. BABS are the perfect tool for all types of makeup application, from beauty to glamour, avant garde to editorial, theatre to film, drag queens to Dracula. Intricately designed by award-winning makeup artist and body painter, Andrea O'Donnell, each sheet consists of a combination of thematically related design elements, patterns, textures, etc. 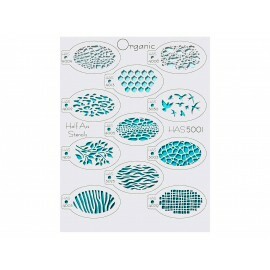 that are ideal for use with Graftobian F/X Aire. 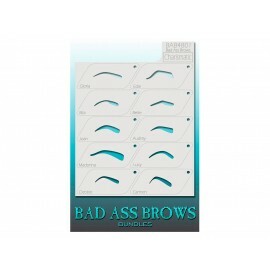 The Studiobrow wax lets you stylize and redesign eyebrows. This formula is soft for easy application and offers enough tack to hold brow powders beautifully. If you need totally obscure brows, use our Modeling Wax (ref. 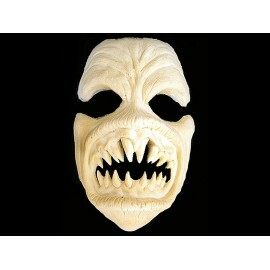 88580) sealed with Flexible Wax Sealer (ref. 88584). 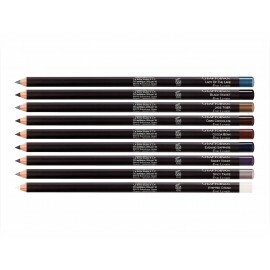 Graftobian Professional Cake Eye Liner yields rich color with long-lasting durability. Apply with a #2 Round Brush and water or use Magic Set for increased durability. Add vibrance, detail, and accentuation to your gaze with our rich, Italian-made, professional length, 18 cm pencils. Colors glide on with smooth accuracy. Create a clean line with a single stroke, or use the softness of the pencil to smudge into a smoky-eye. Now available in 9 highly requested eye shades! One refillable box holds all 24 Mini Luster Crème sand matching 24 Mini Luster Powders, keeping them organized and in a professional presentation for a stunning display of color. 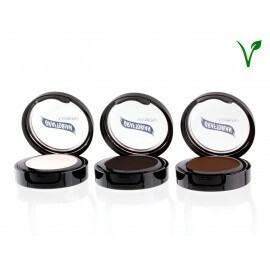 The textures in LUSTER POWDER can be used as shadow eyeliner or enlightening, both for beauty and for fantasy makeup. It can be applied lightly or working them intensify with more product. 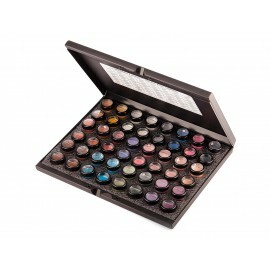 These high impact colors may be used as fantasy eye shadows or as a palette of high brilliance. These top-requested bright and bold shades are in very high demand across the globe and are frequently used in the fashion world. 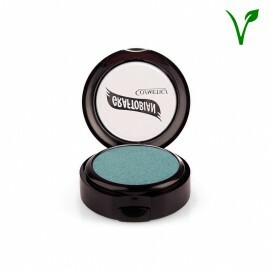 This super smooth, talc-free shadows yield a satin shimmer finish that blends well and is highly durable. 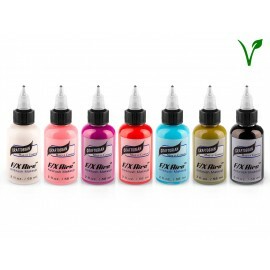 Our six all-natural shades are an essential staple in any artist’s kit. 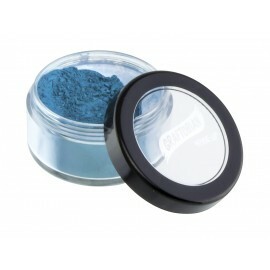 Graftobian's Mineral Eye Shadows feature a super smooth, talc-free formula that blends well and yields a satin luster finish with great durability. Also in single size. Refills for the Mineral/Matte Eyeshadow Palette. 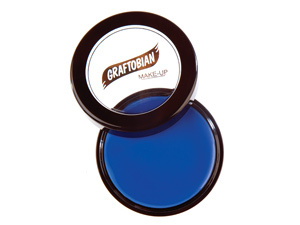 Graftobian's Mineral Eye Shadows feature a super smooth, talc-free formula that blends well and yields a satin luster finish with great durability. Also in single size. 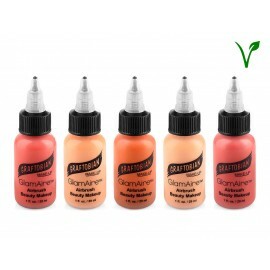 GlitterGlam Liquid Skin Sparkle is a super durable glitter product for use on lips, above the eyes, or any other skin area. 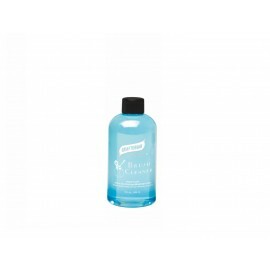 This water-based, non-alcoholic formula is safe for use on all skin areas. Since it is a water-based product, it does take a minute or two to dry, but once dry, it is very, very durable and very, very impacting. 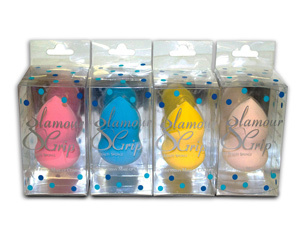 Our countertop display is the ideal way to present a full set of Glitter Glam. 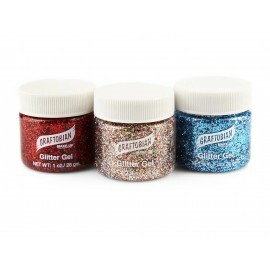 Glitter Gel add quick and easy sparkle and shine, for artistic makeup effects both skin and hair. Powdered Glitter Stacks. 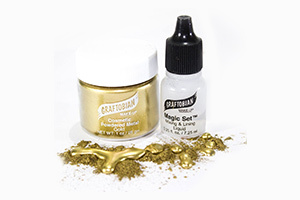 Graftobian offers the ideal Powdered Glitter. 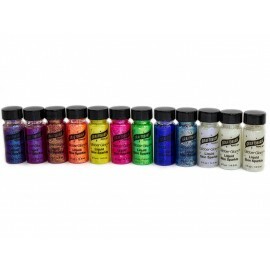 You can use with Colored Latex for fantasy makeup, Magic Set Mixing & Lining Liquid for eye lining, and our Glitter Glam Liquid Skin Sparkle in Clear to make custom colors of Glitter Glam. 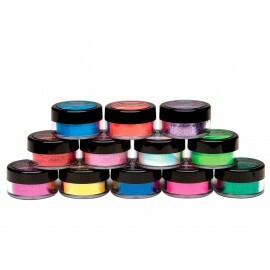 24 piece Pro Glitter Box Graftobian offers the ideal Powdered Glitter. You can use with Colored Latex for fantasy makeup, Magic Set Mixing & Lining Liquid for eye lining, and our GlitterGlam Liquid Skin Sparkle in Clear to make custom colors of GlitterGlam. 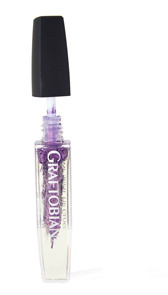 Graftobian offers the ideal Powdered Glitter. 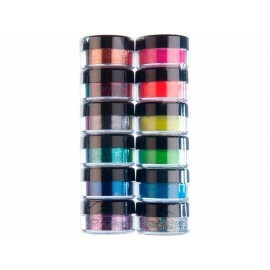 You can use with Colored Latex for fantasy makeup, Magic Set Mixing & Lining Liquid for eye lining, and our GlitterGlam Liquid Skin Sparkle in Clear to make custom colors of GlitterGlam. 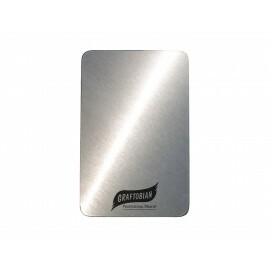 Graftobian 5 oz. cans of Color Hair Spray and Fluorescent Hair Sprays. Graftobian 5 oz. cans of Color Hair Spray and Fluorescent Hair Sprays. Spray glitter for hair and skin. It covers perfectly and provides a high gloss. Easy to clean. 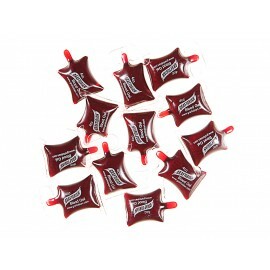 These fabulous little Blood Gels are packed in single packs for easy and inexpensive distribution amongst your bloody little friends. 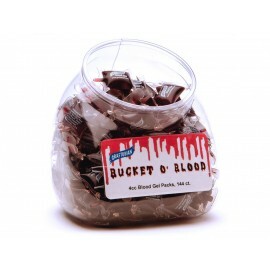 Buy them individually or in our convenient 144-count Bucket 'O Blood. 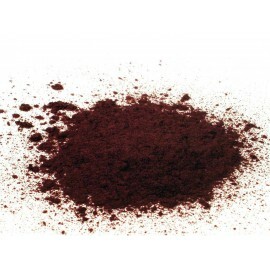 F/X Blood Powder is simulated blood powder that is highly concentrated and ideal for use in situations that call for large quantities of splash blood (in a casualty scene, on a vehicle, on the ground, on people, etc.). 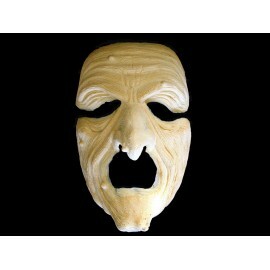 These faces have movie quality with excellent realism and are built for comfort. 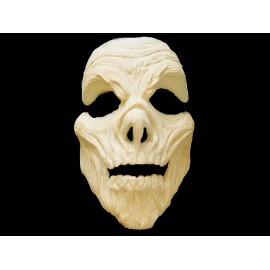 Each piece is accompanied by an easy to follow instructional booklet and is supplied on a convenient plastic Vacuform face for storage and pre-painting. 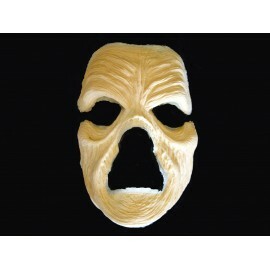 The Woochie Pro FX line of Foam Latex Masks is known all over the world for Hollywood quality and styling. 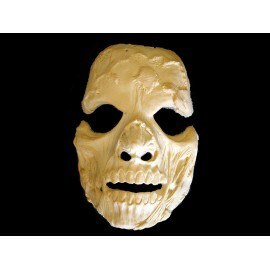 The nearly invisible, paper-thin edges assist you in creating true realism for your character. Our new and improved brush cleaner formulation easily cleans both creme-based and and powder makeups out of brushes of all types. A clean brush is a happy brush. 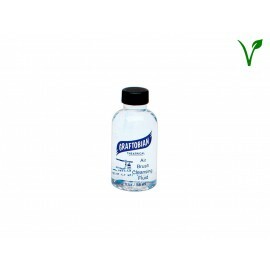 Graftobian Pro Brush Cleaner is also 100% PCE Free. 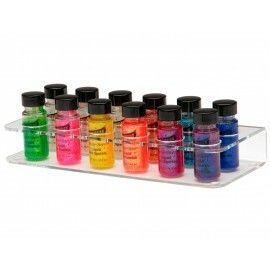 Use this to mix certain products together, such as small amounts of powdered metal with Mixing and Lining Liquid. Shaped and slightly curved on each end. 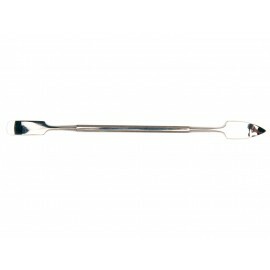 Ideal for scooping product out of containers and for performing various sculpting procedures in clay, wax, etc. One end is spade-shaped and slightly curved, the other is rectangular and slightly curved. This tool can be used to mix colors, but the ends are not really flexible. 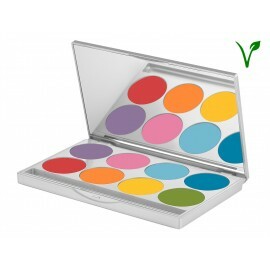 This Mixing Palette is the perfect surface for mixing colors of creme based makeup. Use in conjunction with the Flat Mixing Spatula. 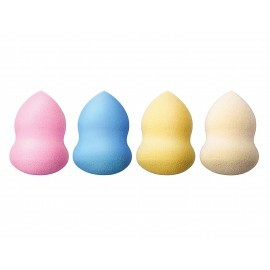 The hourglass design gives it a perfect grip for any makeup artist and the super soft sponge, especially when wet, feels great on the skin. 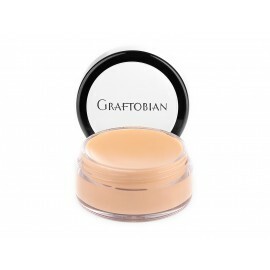 Used to apply Graftobian HD Glamour Crèmes, it goes on beautifully and easily with a flawless, almost airbrushed finish. Natural sponges are a unique artistic tool for the professional. 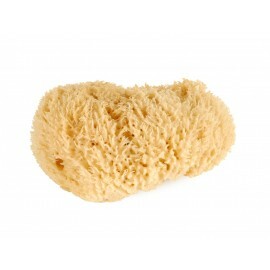 Marine sponges allow you to create irregular patterns of makeup and texturing with water-based products and cream. 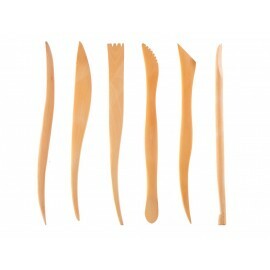 Six individually unique wooden tools, double-ended and 6 inches in length. 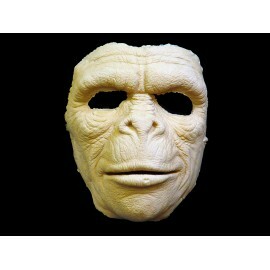 Ideal for wax shaping and sculpting. Sold only as a set. Perfect for applying and blending our bases HD Creme and work points of light and contouring. 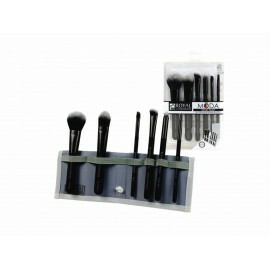 Set of 6 high quality vegans fiber brushes, in a white hard case that holds the brushes in good condition. 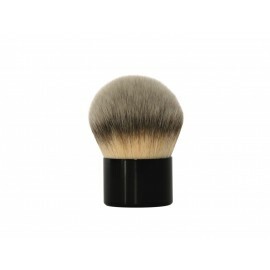 A new line of vegan professional high quality brushes: easy to clean, prevents allergies, repels bacteria and dirt better than animal hair brushes and provides perfect results in applications of cream and powder. most comprehensive on the market to meet the needs that the audiovisual world today demands and new techniques in HD, film and airbrushing.